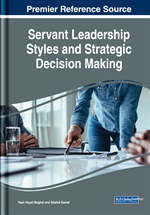 The aim of this chapter is to review the full range leadership model and link with decision making cognitive style to increase performance of employees. For this purpose, numerous articles, theses, and dissertations have been reviewed. It also takes into consideration that articles should be downloaded from ISI index and Scopus index journals in order to get quality data for review. This study will be quantitative in nature and will use survey approach for data collection. Population of this study will be all degree-awarding institutions from KPK universities. Performance is the main issue in the organizations. In order to increase performance organizations are using so many techniques. Sometimes organizations use better benefits and salary structures, sometimes organizations improve their culture in the organization in order to increase performance and productivity of employees (Nanjundeswaraswamy & Swamy, 2014). Moreover it was also suggested that leadership bring effectiveness in the performance of the organizations as well as employees performance. Now a day’s organizations need effective leaders who can understand complex situation in the organizations and also has good relationship with followers and employees in order to increase the performance. Busari (2011) conducted study on the leadership styles and leadership effectiveness and found that there is strong relationship between leadership styles i.e. transformational leadership and transactional leadership and effectiveness. In addition Assunta and Agostino (2007) conducted study on leadership and performance and found that leadership bring high performance which in turn increase high reputation of organizations. But there are lot of problems which needs careful decision making by leaders in organizations. So these problem solving approaches and also approach of decision making needs lot of experience analytical and intuition techniques by leaders (Busari, 2011). In order to make decisions and also in order to solve problems lot of research is conducted by Busari and Spicer (2010). These decision making styles are given name as cognitive style index introduced by Allinsonand Hayes (1996). Later on Cools and Van Den Broeck (2007) split cognitive style dimensions. Basically cognitive style has two dimensions analytical and intuition. Analytical refers to logical rational thinking and intuition refers to experience and judgment. Later on Cools and Van Den Broeck (2007) splitted analytical style into three more dimensions known as planning, knowing and creating in order to help leaders and employees how to make decisions and solve problems in the organizations. Leaders in Malaysia used analytical style for decision making in organizations (Busari, 2011). So in order to make decision by organization which leadership style is more effective in Pakistan perspective whether transformational, transactional or laissez faire to increase performance cognitive style will help to make decision. In this study cognitive style indicator will be used as moderator in the relationship between leadership styles and performance while cognitive style given by Allinson and Hayes (1996) will be used as moderator on the relationship between leadership styles and performance. Performance is the challenging issue for every organization. Every organization wants to enhance its performance as well as its employees’ performance. For this purpose, various training sessions and value-added sessions have been conducted by organizations but still there is need to focus on this burning issue. The problem how to increase performance and who will take decisions to increase performance is still big question. Out of these techniques leadership play a vital role in improving performance and productivity of employees. There is strong relationship between leadership and followership. And also leadership has influence over followers (Busari, 2011). So this study will try to fill few gaps which are extracted from literature. Very first gap is theoretical gap. In this gap cognitive style indicator is not added in the theory of leadership. Previous study conducted by Busari and Spicer (2010) revealed that cognitive style decision making introduced by Allinson and Hayes (1996) was added in leadership but that study was conducted in Malaysia. After that another researchers Cools and Van Den Broeck (2007) has introduced cognitive style indicator for decision making so this study will add cognitive style indicator in the theory of leadership suggested by Mughal and Busari (2017); Busari et al. (2017); and Mughal et al. (2017). How cognitive style indicator help leadership in Pakistan to make decisions to increase performance? Whether the instruments of leadership, cognitive style are valid in Pakistan perspective? Leadership Styles: All the given definitions emphasize two main elements; relational concept and then the process of inducing employees to take actions towards predetermined objectives.